Homeopathic medicine builds upon our bodies’ complex self-healing mechanisms. By incorporating natural substances into your current lifestyle, Dr. Borislava Johnson promotes this innate healing response. Homeopathy is an integral part of Dr. Johnson’s holistic practice serving Cypress and Northwest Houston, Texas, and all of her homeopathic options meet the FDA’s safety standards. 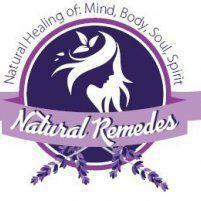 Call or book an appointment at Natural Remedes online. Homeopathy is a branch of medicine that addresses the body's ailments with natural options. Homeopathic methodology is holistic: The practitioner assesses each person as a whole rather than addressing their condition alone. It also operates on the premise that the body has an innate ability to heal itself and sometimes just needs a little support. Homeopathic medicine, which stimulates the body’s healing process, comes from natural sources. The active ingredients in homeopathic remedies gently stroke your symptoms, which prompts your body to activate its healing mechanisms. What conditions do you treat with homeopathic medicine? The United States Food and Drug Administration (FDA) regulates homeopathic medicine and has been doing so since 1938. Remedies must meet the FDA’s strict guidelines for safety and compliance. Remedies you find online or at a health food store might not meet the same requirements. It’s essential to consult a homeopathic physician like Dr. Johnson to ensure your safety. She makes sure you receive the appropriate medicine at the proper dose. It’s also crucial for Dr. Johnson to know about all of your current medications to make sure there aren't any interactions. However, homeopathic medicine rarely has risky side effects or causes harmful interactions with conventional drugs. Can I just treat myself with homeopathic medicine? Many homeopathic websites and resources are available to the public. Though you may have access to these remedies, only a homeopathic physician has the training and knowledge to administer them appropriately. Dr. Johnson’s expertise in homeopathic medicine spans decades. She can help direct you to the most efficient, appropriate healthy lifestyle for your particular needs. Dr. Johnson also helps determine what the minimal dose is for you. If you’re interested in exploring your homeopathic options, call or use the online booking option to schedule an appointment with Dr. Johnson.